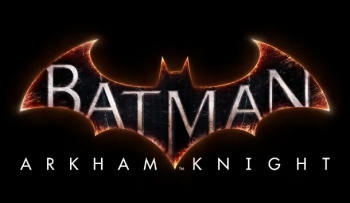 Batman: Arkham Knight does feature the Dark Knight himself, but the title refers to a different Gotham crusader. With today's announcement that Rocksteady is returning to finish the Arkham series with Batman: Arkham Knight, there's been a lot of (very understandable) excitement. The game's title, however, is admittedly odd. We're clearly not using the "Arkham [Location]" naming scheme anymore, but this sounds like an executive just mashed the Arkham brand with the Dark Knight movies and called it a day. As it turns out, there's a surprising twist behind the name: there will be a Knight of Arkham, but it's not Batman. According to game director Sefton Hill, the Arkham Knight is an entirely new character created by Rocksteady and DC for the game. Batman: Arkham Knight is set to feature a strong cast of (at least) Scarecrow, Two-Face, Penguin, and Harley Quinn, but the Knight himself will probably play a significant role as a sort of anti-Batman. Hill says this new villain is a "formidable foe" for Bruce Wayne, able to "really challenge Batman to go head to head with him in lots of different ways." Creating a new villain from scratch probably isn't the worst idea. Arkham Origins was really starting to scrape the bottom of the barrel for interesting enemies, and it even had the advantage of being a prequel. Arkham Knight will take place about a year after the events of Arkham City, meaning a lot of Batman's adversaries are off the table. We haven't had a chance to see the Arkham Knight himself in action, but here's hoping for a good antagonist - the villains will make or break Batman's final adventure.